We’re CIM’s Agency of the Year! Wow, we’ve got some great news to tell you all! 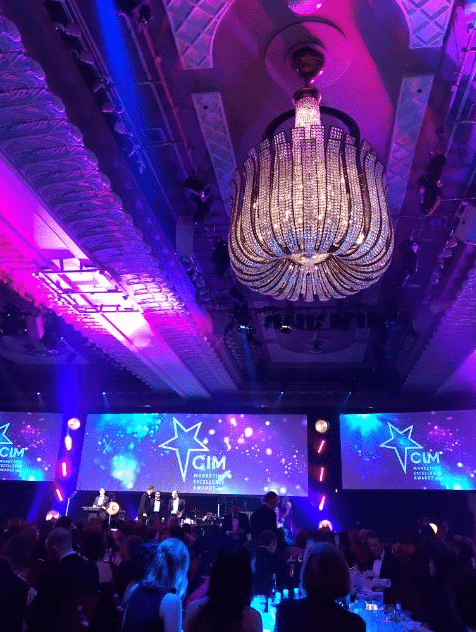 Last night Managing Director Ant and Senior Marketing Manager Lee went to the prestigious Grosvenor House Hotel in London for the highly coveted CIM Marketing Excellence Awards. 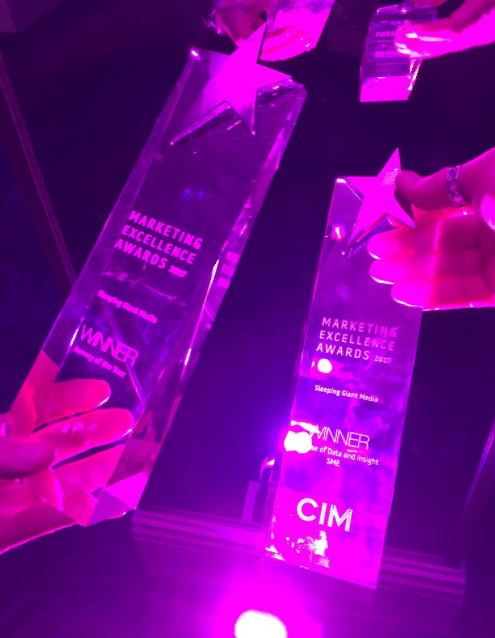 The CIM Marketing Excellence awards are run by the Chartered Institute of Marketing (CIM) which is one of the largest professional marketing bodies on the planet. The Marketing Excellence Awards seek to find and celebrate outstanding marketing campaigns. We were nominated as finalists in both the Agency of the Year and Best Use of Data and Insight – SME categories, and were lucky enough to win both! As a Kent based agency, this is a big achievement for us. 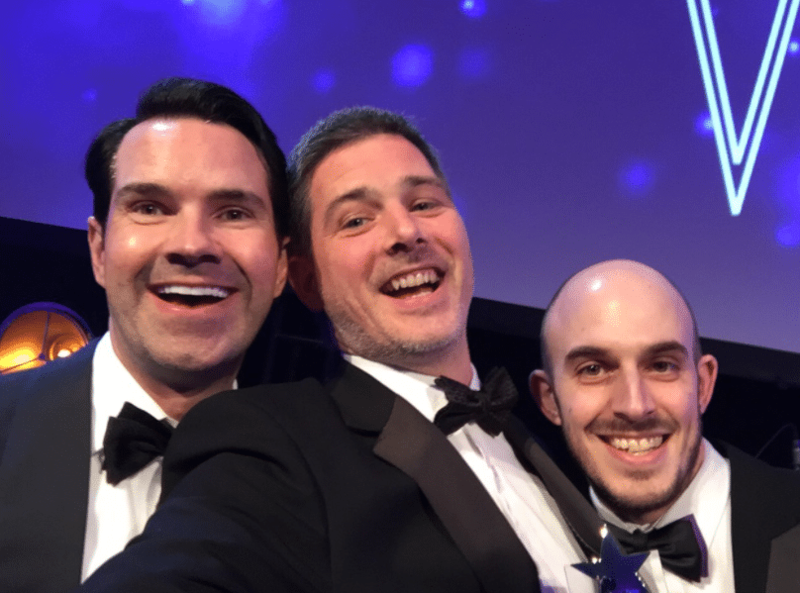 Not only did we come home with two very shiny awards, but Ant and Lee also managed to get a selfie with Jimmy Carr! The Agency of the Year award comes as a great result for the agency, marking a fairytale moment for the business.